Gannavaram Airport which is the Airport of capital region, has shown a rapid growth in the first quarter of 2016, compared to first quarter of 2015. The number of aircraft movements had gone up to from 1,621 in April-June 2015 to 2,888 in the corresponding quarter of 2016. The passenger movements between April and June 2015 were 92,103 and it touched 1,43,758 in the current year of April and June 2016. Overall there is 50% increase in the passenger and air traffic. 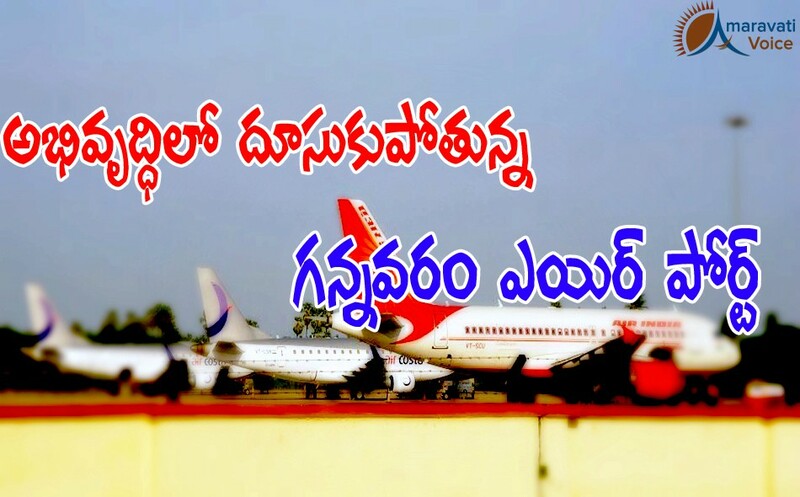 Right now there are 36 flight schedules running every day from Gannavaram Airport. It is necessary go rename it to "AMARAVATHI" to reflect the image of newly formed state Capital of AP.